Staravia in game: 927 Who? Important notice! 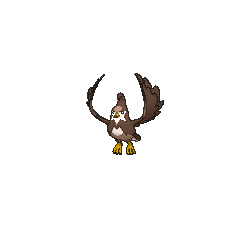 Pokemon Staravia is a fictional character of humans. Staravia (Japanese: ???—? 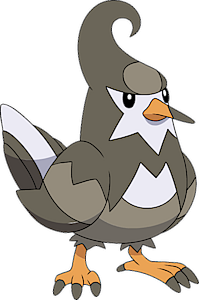 Mukubird) is a dual-type Normal/Flying Pokémon introduced in Generation IV. 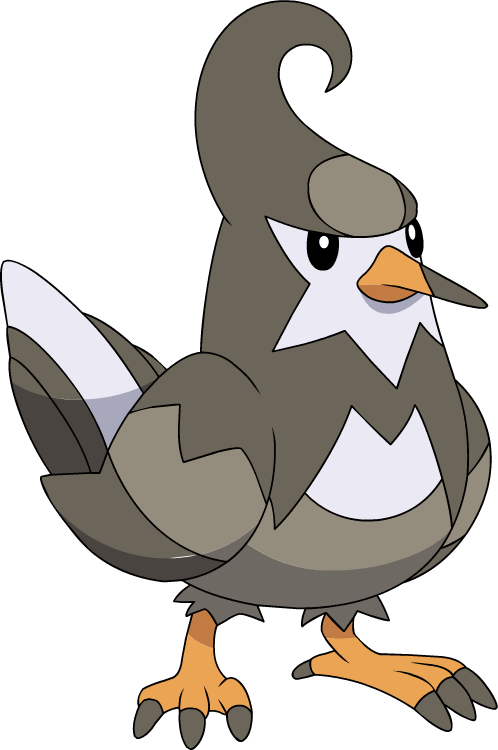 Ash's Starly evolved into a Staravia in A Staravia is Born!. 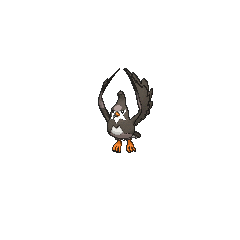 It then evolved into a Staraptor in Pursuing a Lofty Goal!. A Staravia appeared in A Relay in the Sky!, under the ownership of Orson. Staravia made its debut in Following A Maiden's Voyage!. A Staravia appeared in the opening scenes of Zoroark: Master of Illusions. A photo of a Staravia appeared in The Four Seasons of Sawsbuck!. A Staravia appeared in a flashback/fantasy in The Forest Champion!. Multiple Staravia appeared in the Hoopa's Surprise Ring Adventures short Flying in the Air. 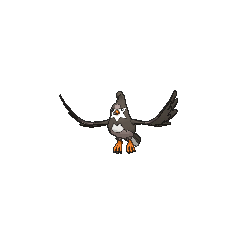 Three Staravia appeared in A Full-Strength Battle Surprise!. 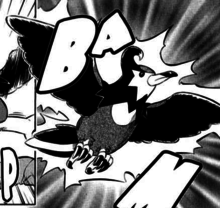 Staravia appears in Pokémon Adventures, in the Diamond & Pearl chapter and Platinum encounters it. Team Galactic's Grunts used several Staravia to battle Paka and Uji in Veilstone City so that they can find their client, Platinum, and use her for a ransom. They were defeated by the combined efforts of Paka, Uji, Diamond, and Pearl. They were next seen being used to capture Mesprit at Lake Verity. Jun from the Pokémon Diamond and Pearl Adventure! 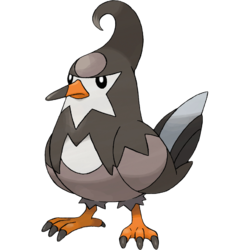 manga owns a Staravia that evolved into a Staraptor. Mukubird is a combination of ?? mukudori (gray starling) and bird. Mandarin Chinese ??? Mu Kè Niao Transliteration of its Japanese name. The last character means "bird".